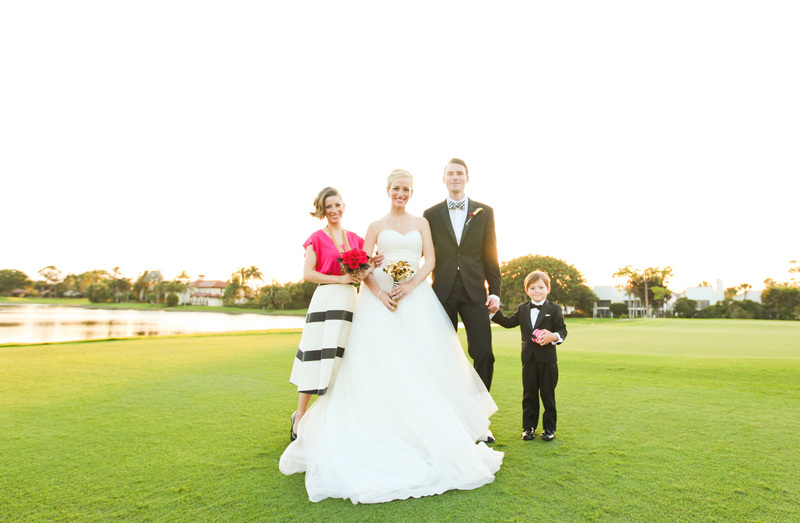 Crisp colors, graphic prints and playful sophistication are the hallmarks of Kate Spade and served as the inspiration for this elegant Kate Spade Inspired Wedding. 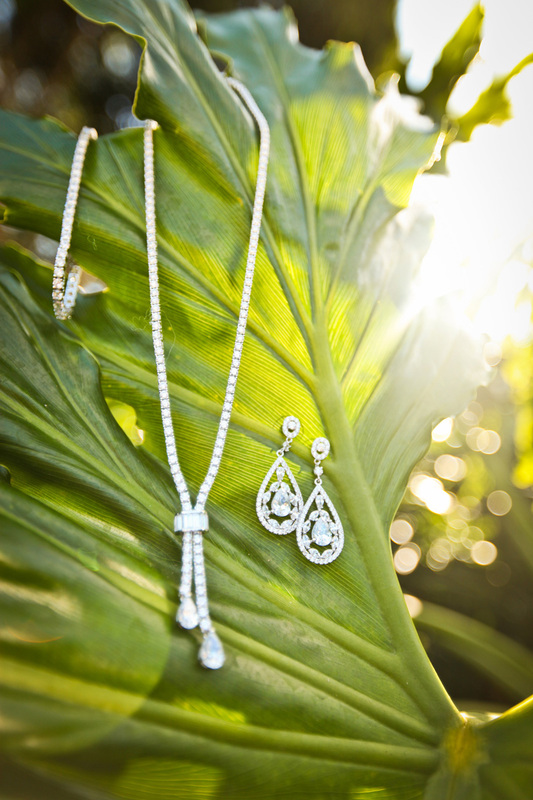 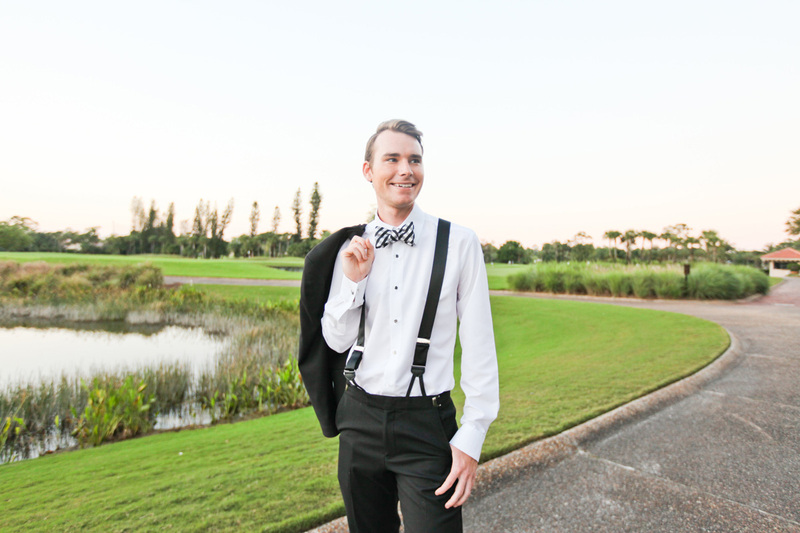 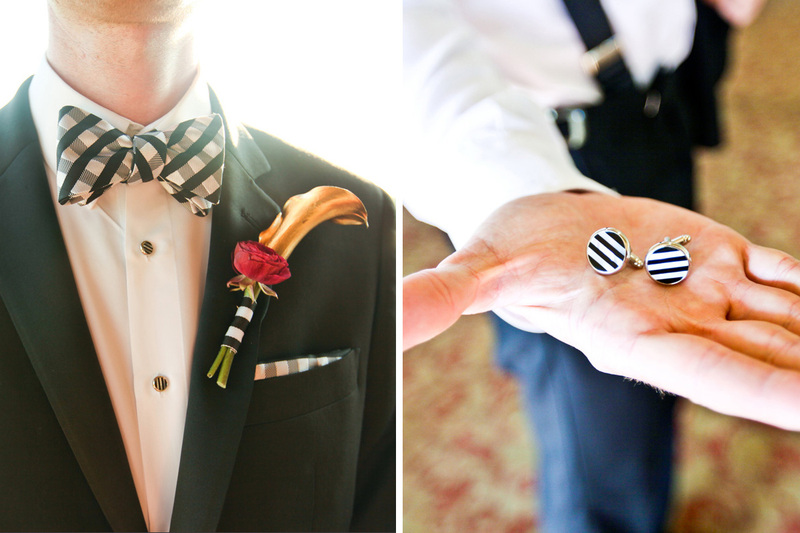 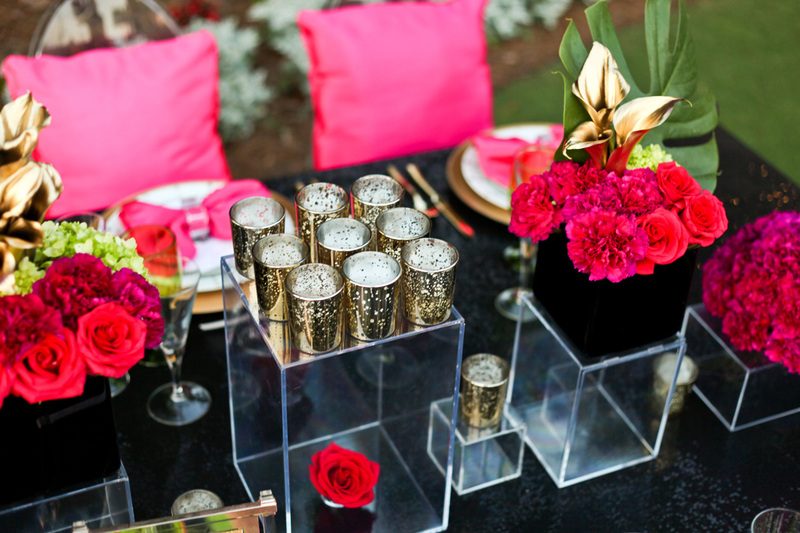 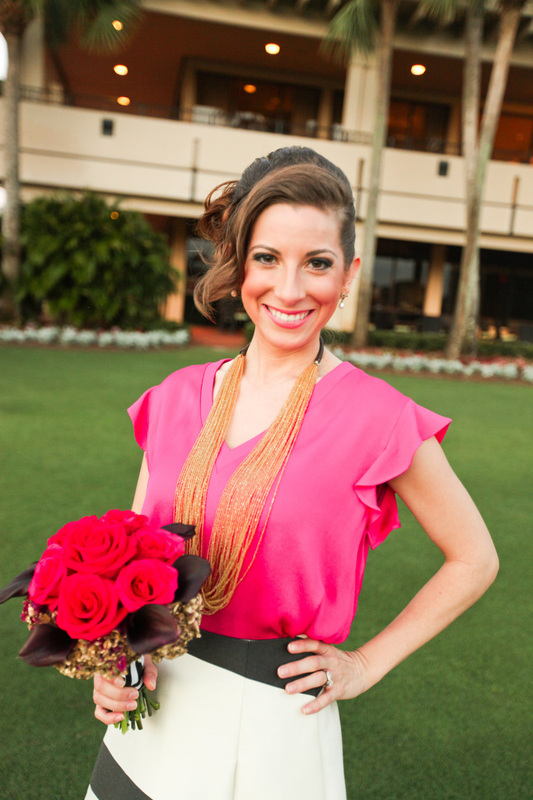 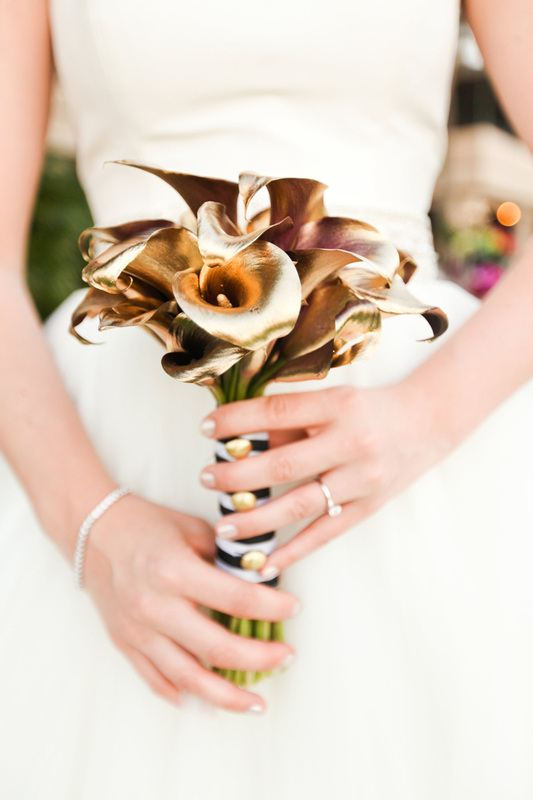 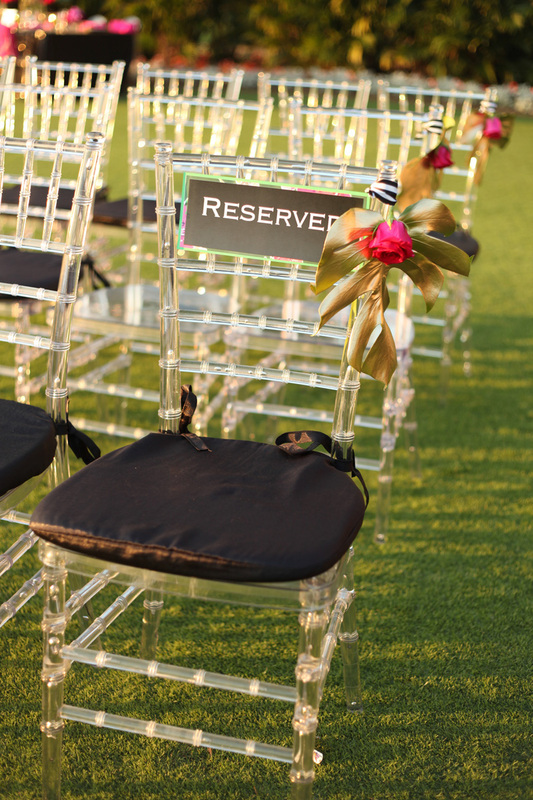 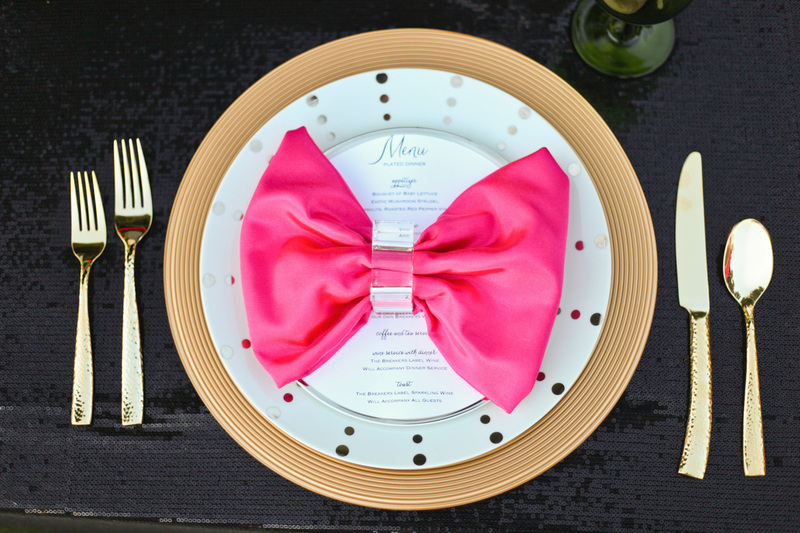 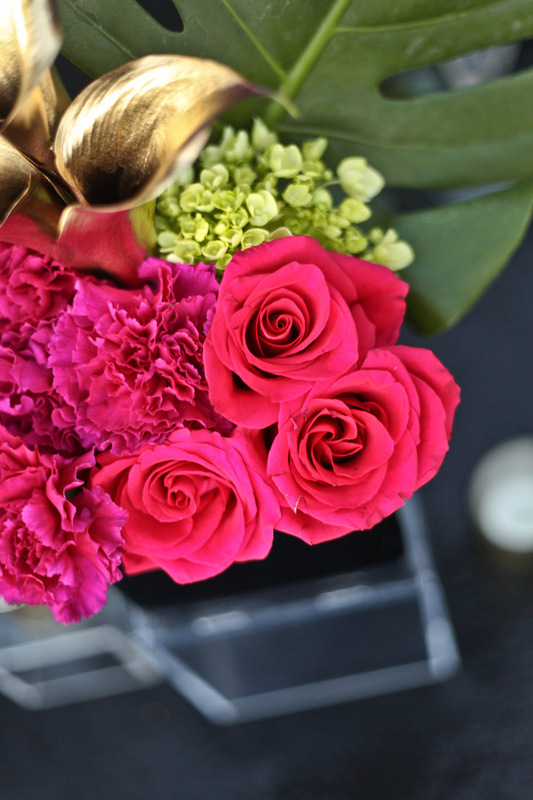 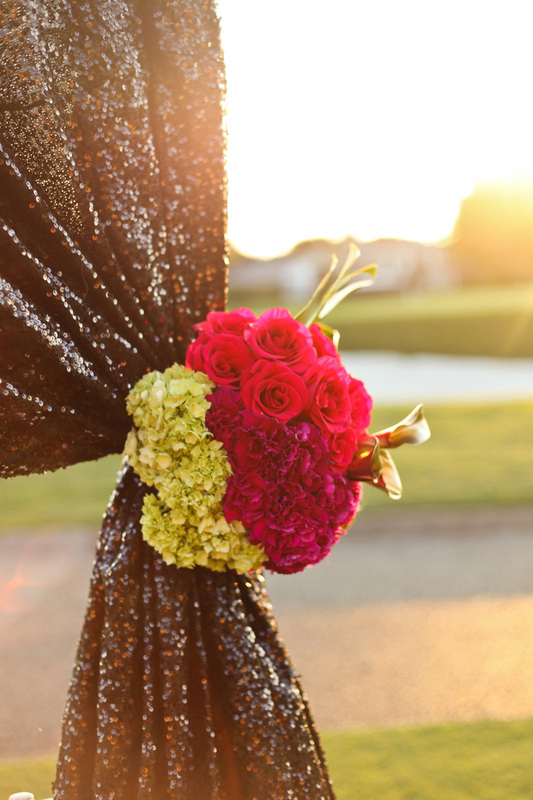 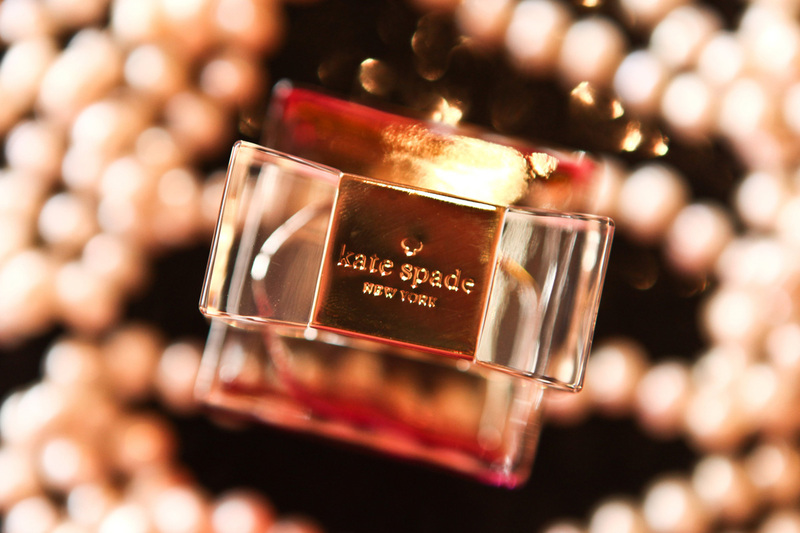 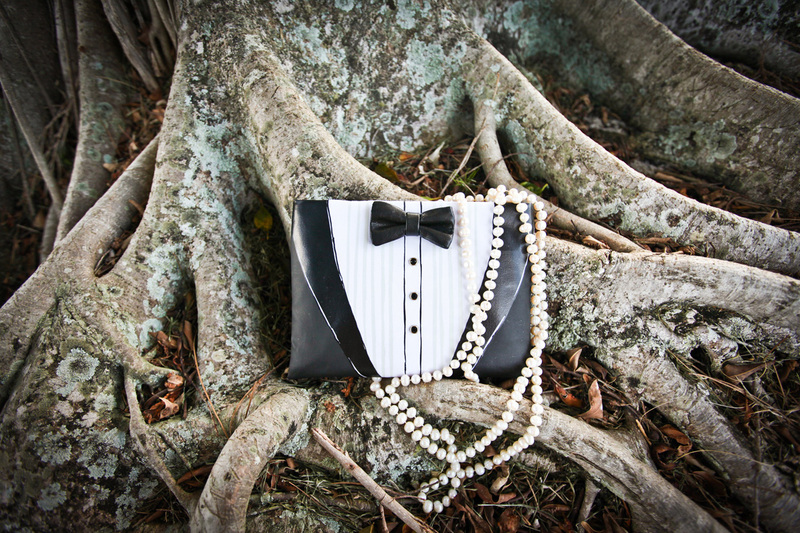 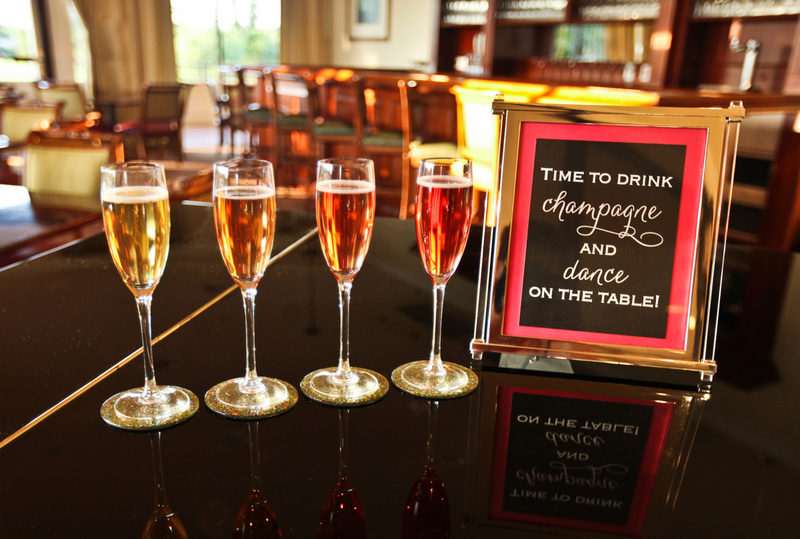 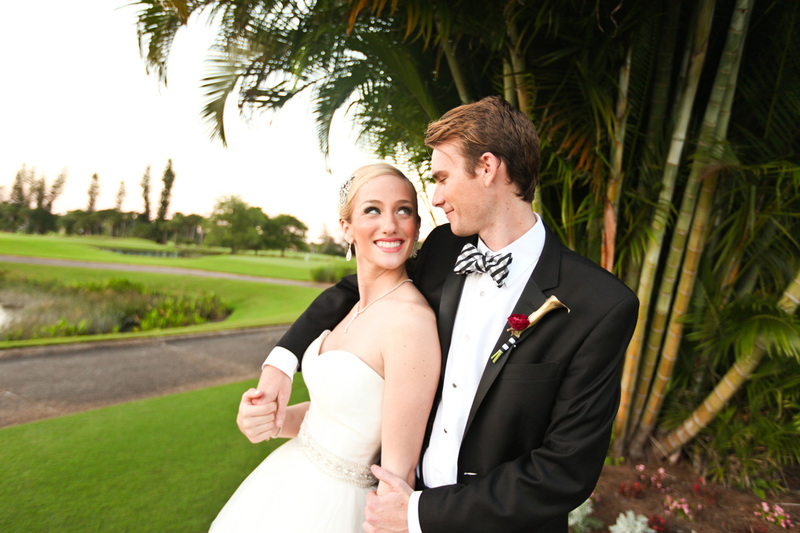 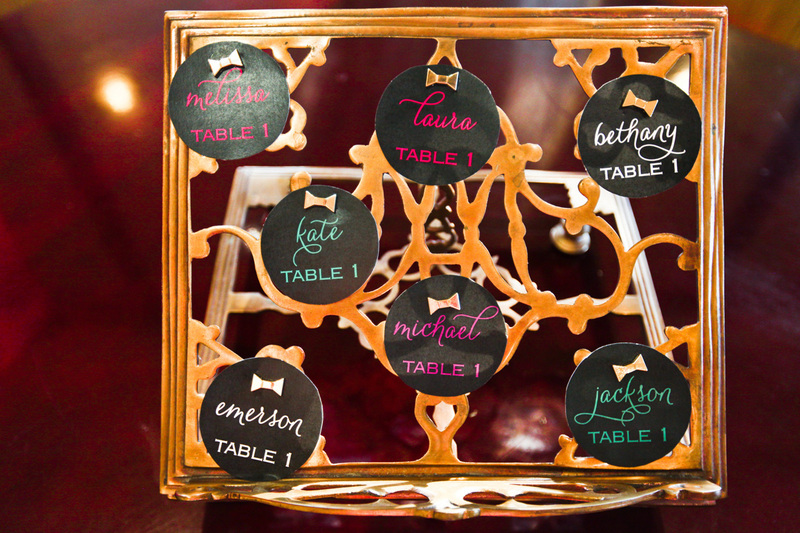 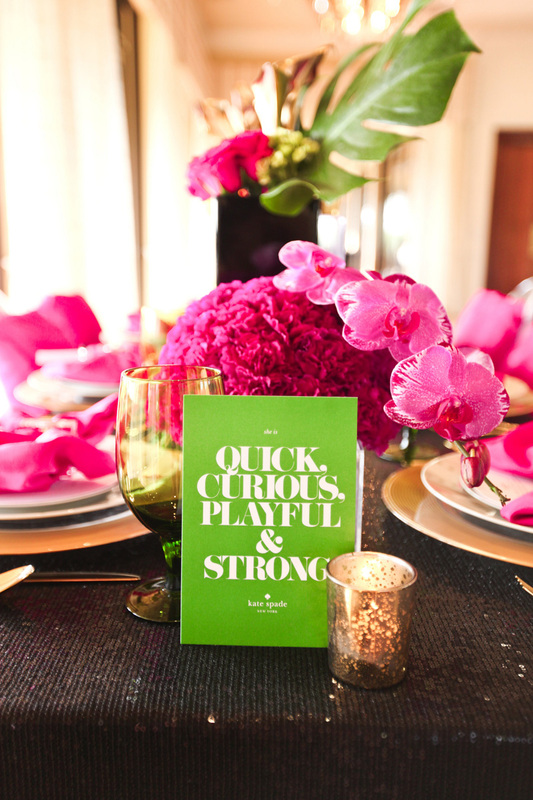 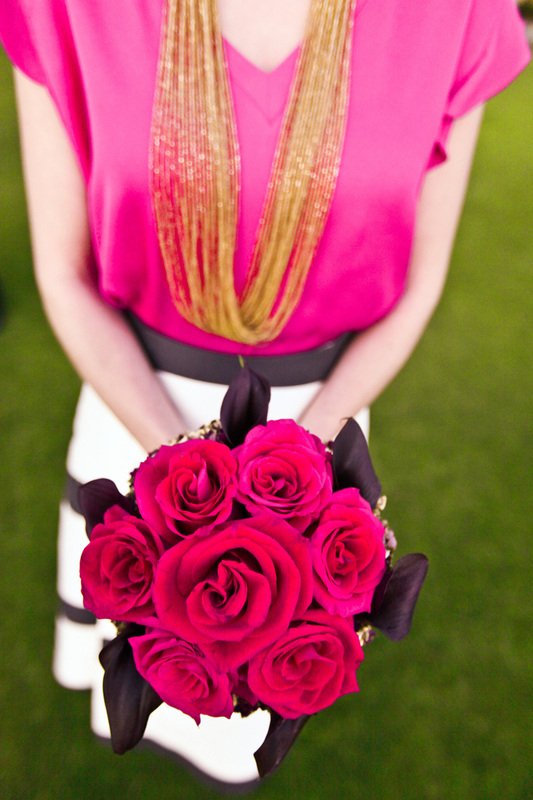 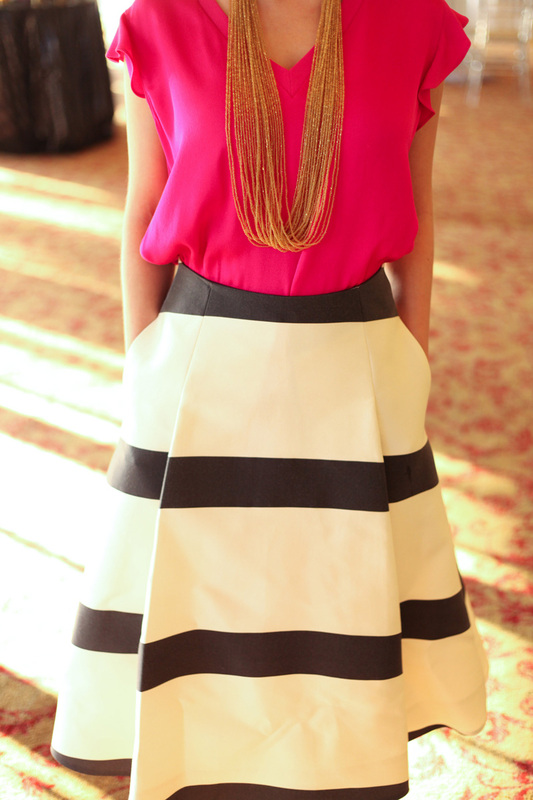 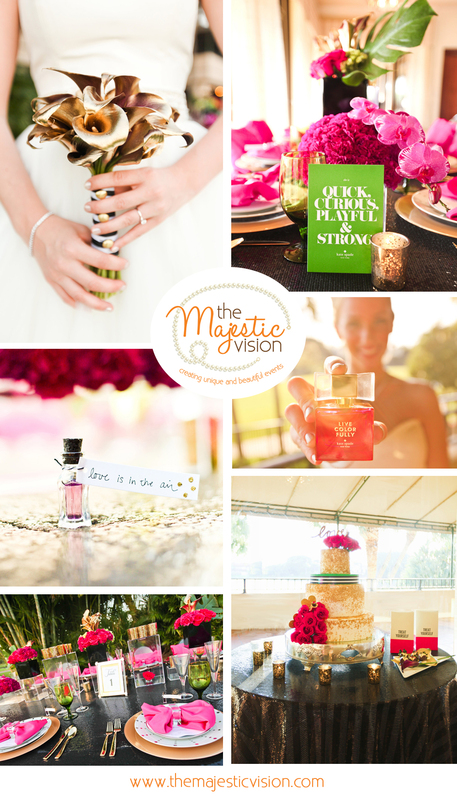 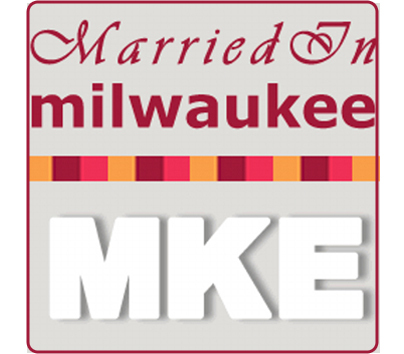 We infused the signature Kate Spade look throughout the wedding to bring our theme to life. 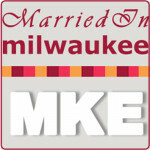 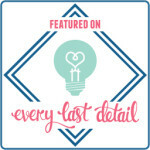 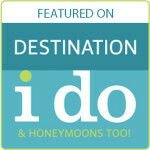 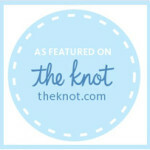 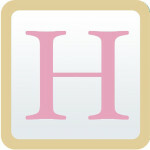 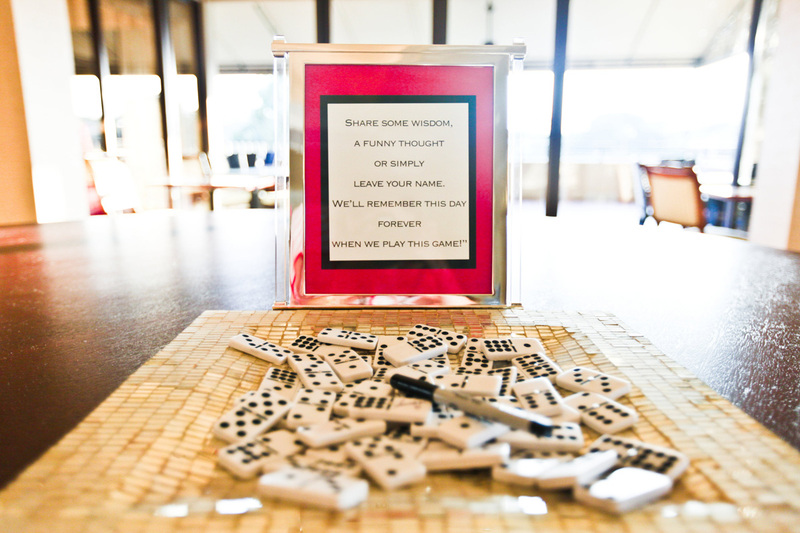 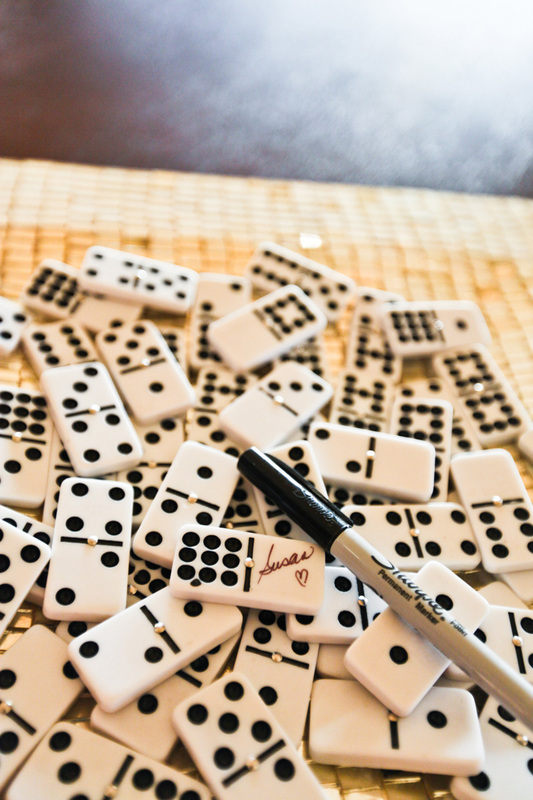 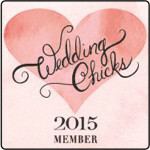 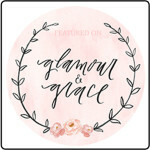 From our fashionista bridesmaid to the domino game guest book and everything in between. 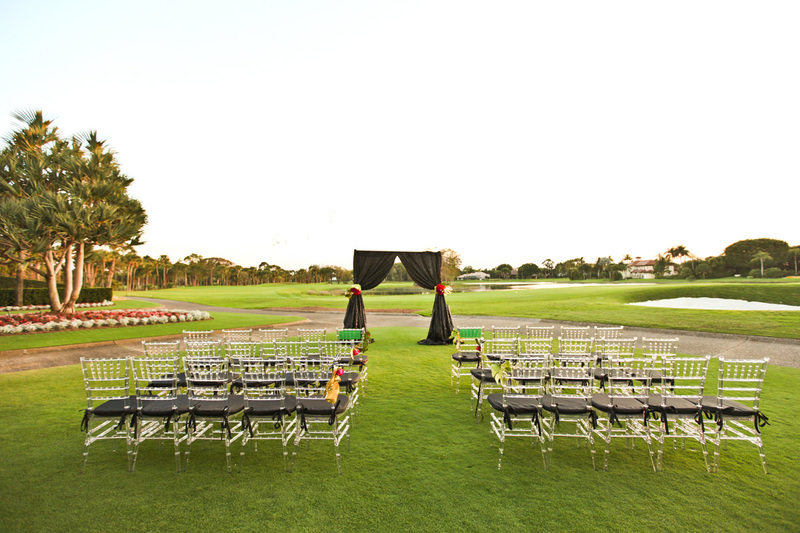 The classic elegance combined with the picturesque golf courses of Breakers West in Palm Beach made it the ideal location. 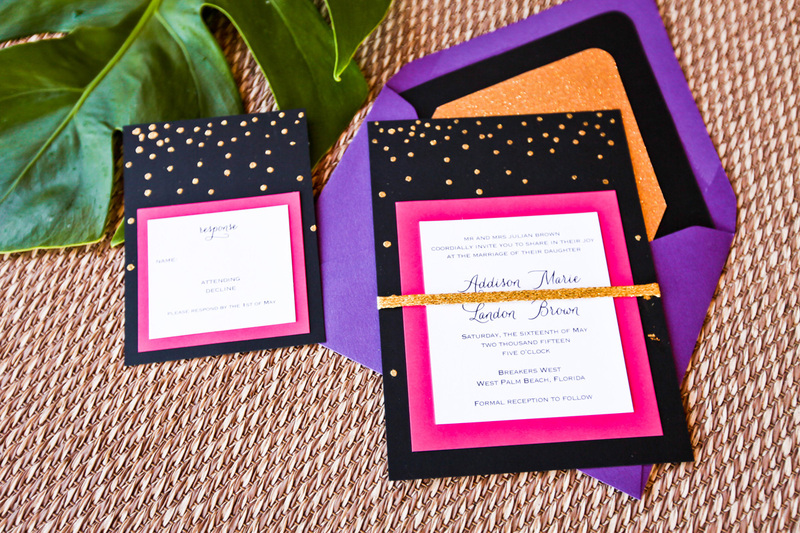 Our crisp colors of pink, purple and gold were accented with black and white graphic prints to create a fun color scheme. 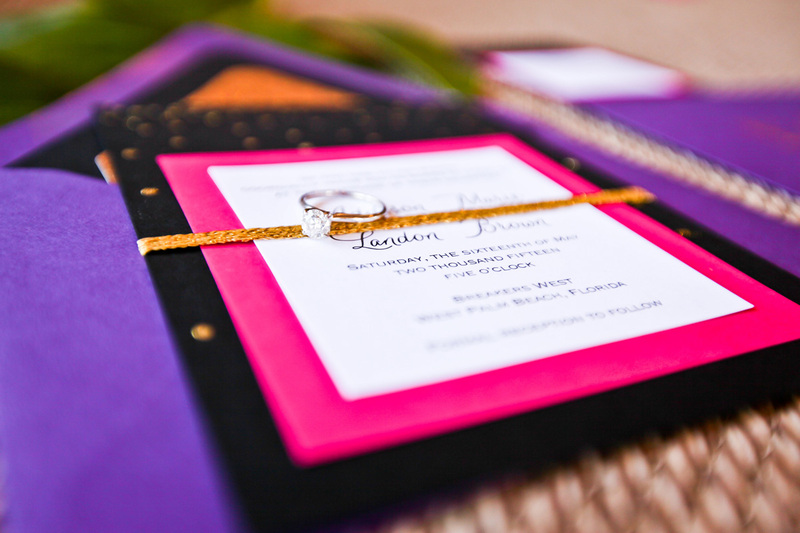 The lovely invitation suite created by Chirp Paperie perfectly represented the scheme. 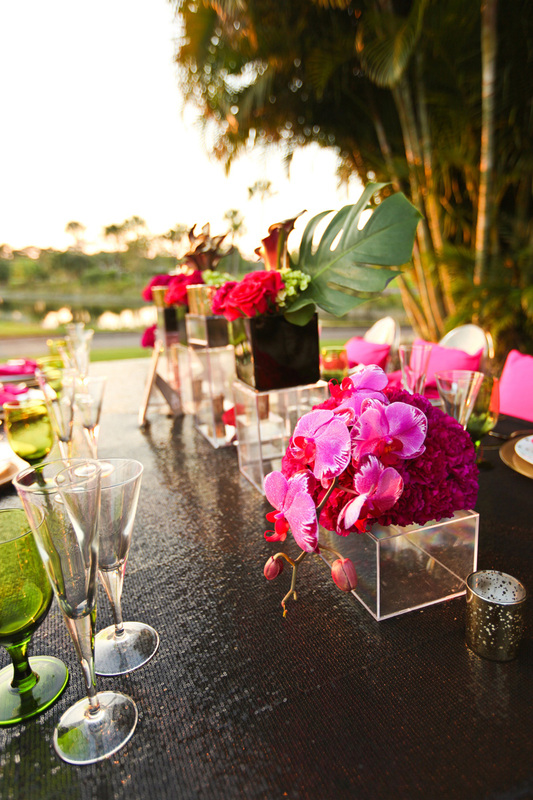 J Morgan Flowers created some incredible centerpieces utilizing orchids, hydrangea and roses with various lucite boxes and gold votives. 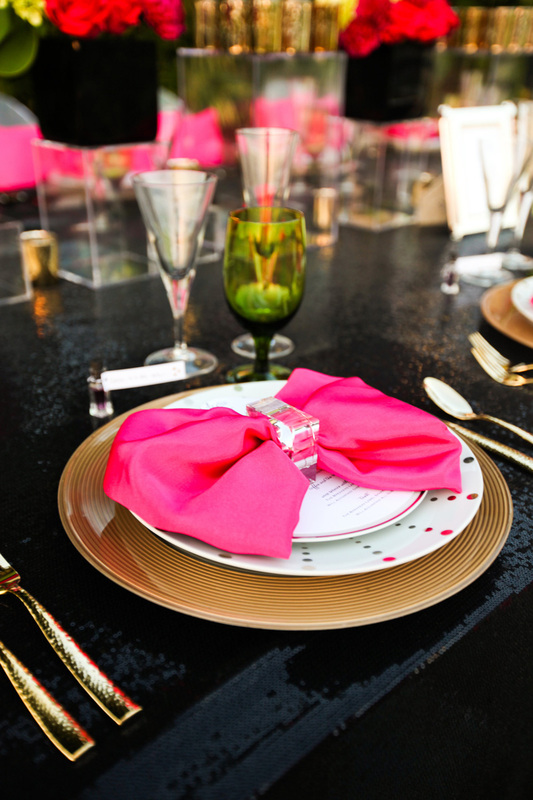 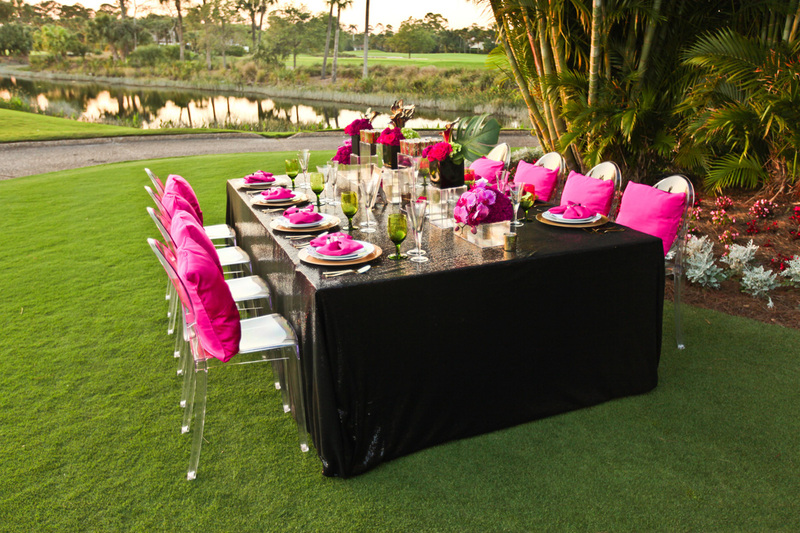 Atop a black glitter linen, sat gold chargers with gold flatware and crystal and green glassware. 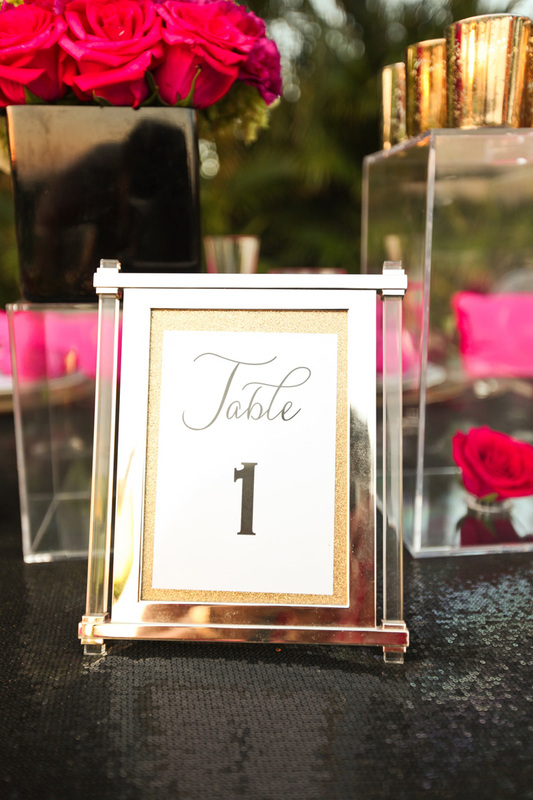 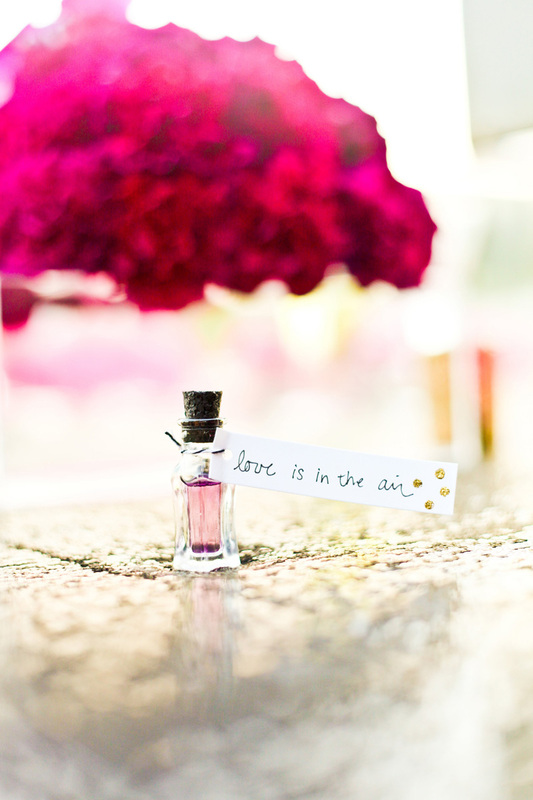 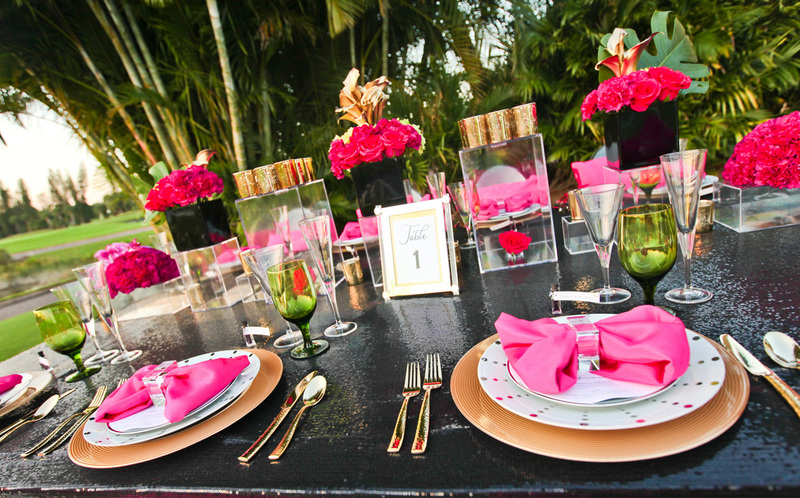 Each place setting was embellished with gold dot dinnerware, circle menu card and bottle of perfume with a note reading “love is in the air.” The table was surrounded by clear lucite chair with pink pillows to complete the look. 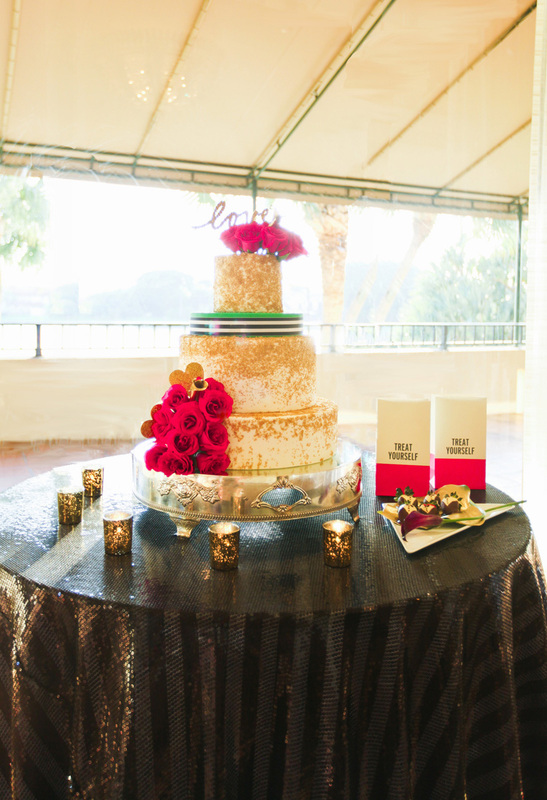 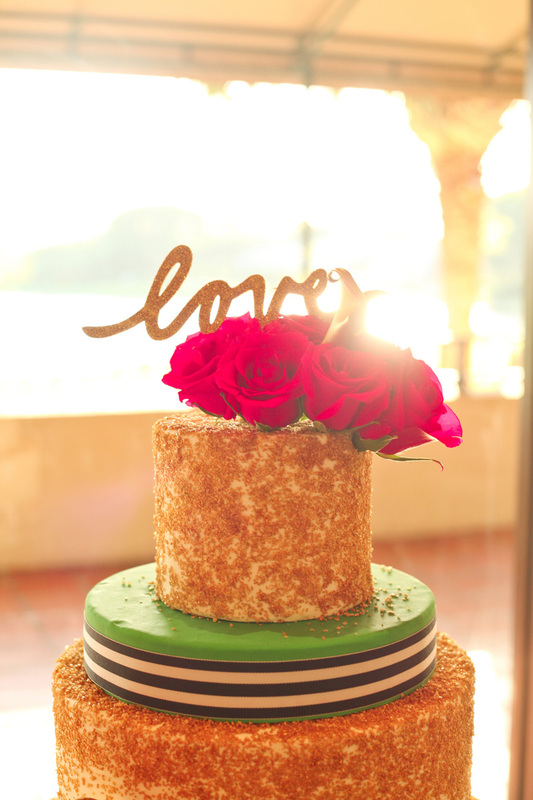 The incredible cake and tuxedo strawberries expertly crafted by Breakers West bakers continued the playful Kate Spade theme with gold glitter topper, cascading gold glitter design and graphic ribbon. 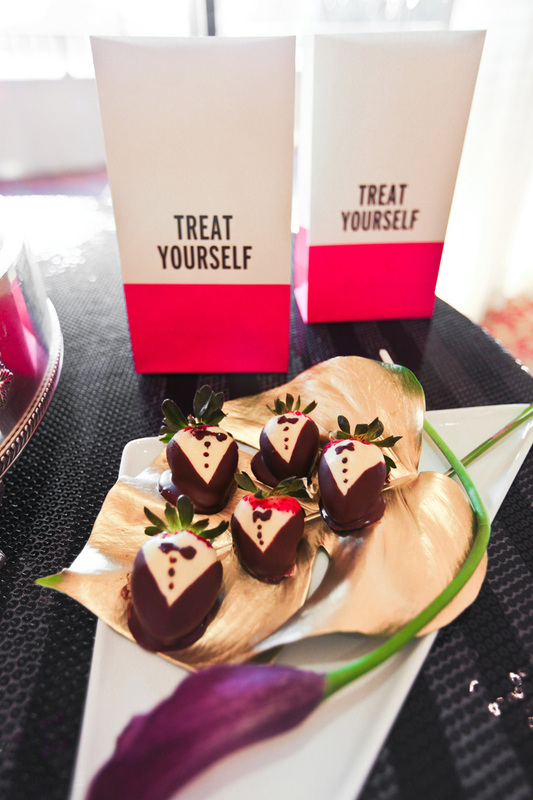 Guests could help themselves to strawberries using the adorable Kate Spade treat bags. 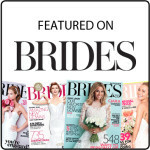 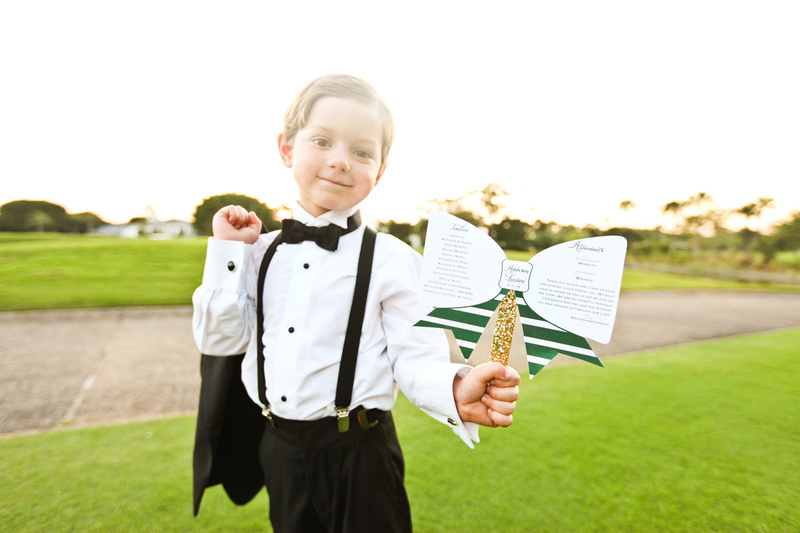 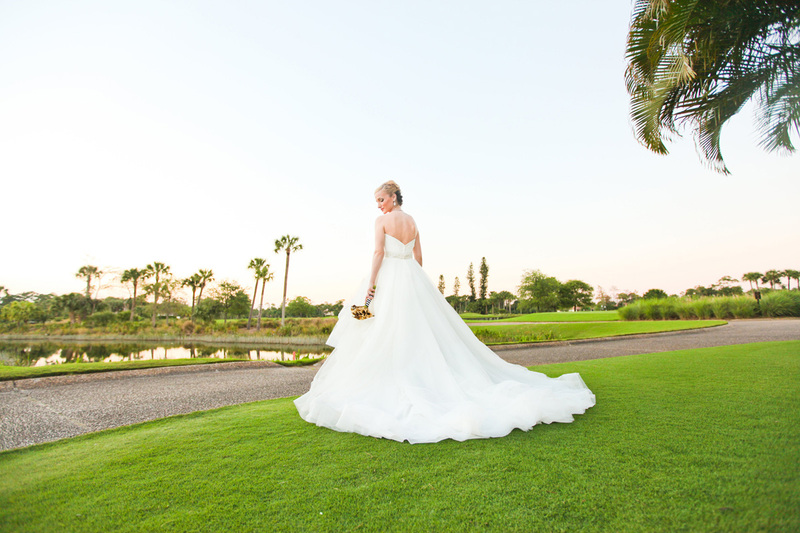 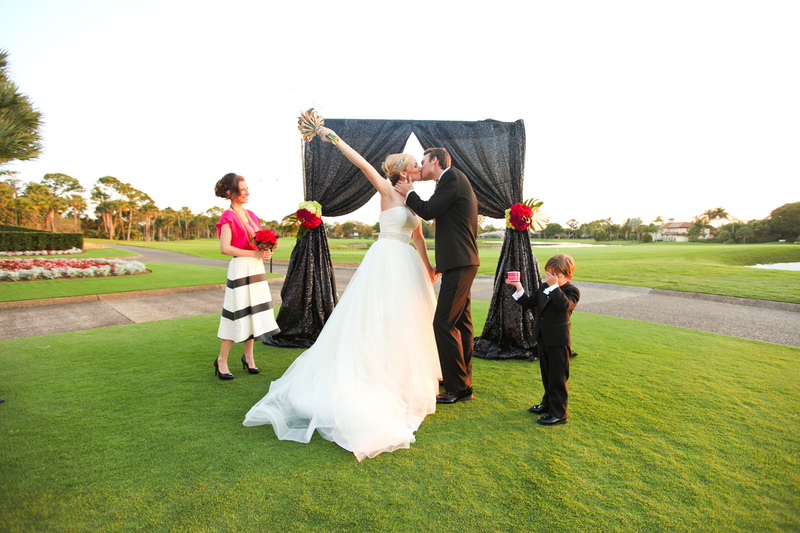 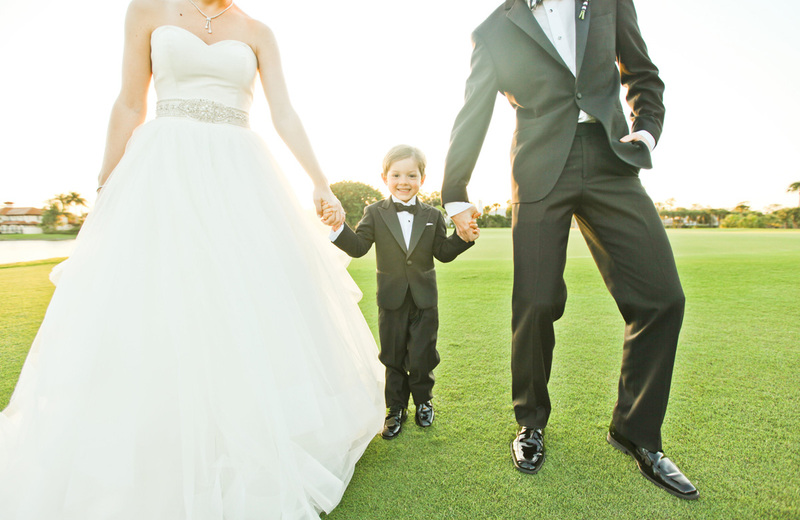 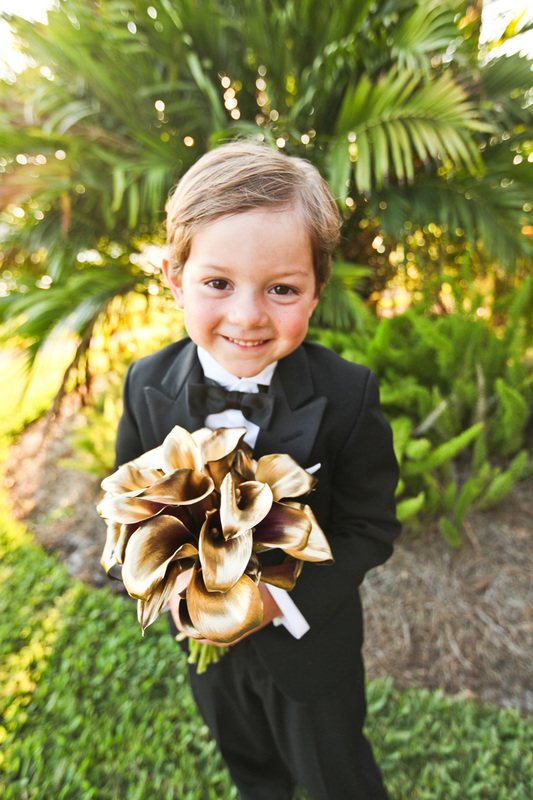 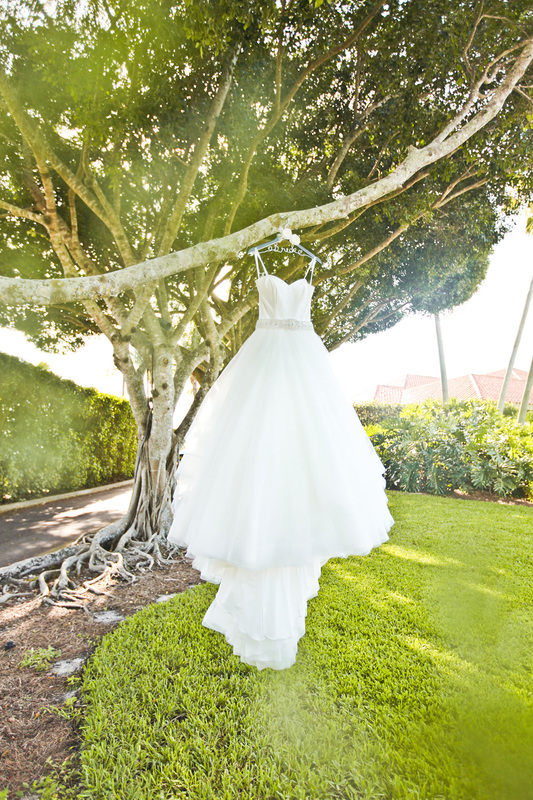 Every aspect of this playful and elegant Breakers West wedding inspiration was captured perfectly by Krystal Zaskey Photography and Anchor Weddings.